We create dynamic lessons, state the objective in student-friendly terms, have students socially interact to share information, but they still seem to forget much of what we teach. Every teacher has experienced the frustration of having to re-teach content because students forgot important information. Likewise, students often experience similar frustration at not being able to remember. So, why do students (or any of us for that matter) forget? Inattention – when we don’t pay attention or only give partial attention to something, the information isn’t encoded fully or accurately in the brain. For example, we forget where we placed our car keys because we only partially paid attention when we put them down. Suggestion – we become influenced by someone else’s comments, the environment, or what is emphasized or de-emphasized. For example, a person who accurately witnesses a car accident between a blue car and a red car but is later corrected by someone else that both cars were blue will eventually remember two blue cars. Misattribution – this happens when we make assumptions about what belongs in an event, group, or context. For example, a fellow teacher often gives staff training on the topic of Six Traits of Writing and is widely considered the school expert in writing instruction. However, a writing training is conducted by another individual. Later, teachers swear that the training was conducted by the school expert. This happens because it would make sense, based on previous experience, that the school expert conducted the training. Teach students about memory and what they can do to sharpen it. The process of learning and memory should not be kept a secret. 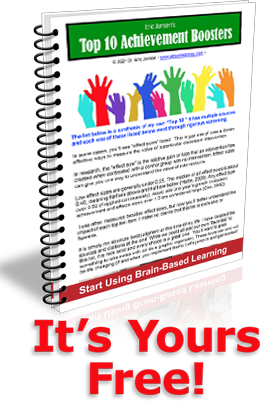 I have found that students have a natural, intrinsic interest in learning about their brain and how it functions. Focus student attention on important, key ideas. Say things like, “This is important, you’ll definitely want to remember this.” or “Here is something that you’ll want to pay close attention to, it could be on a test.” Be careful not to use these types of statements too often or it could backfire. Add emotional connections to the content. The amygdala (the brain’s emotional processing center) greatly influences memory. After all, we rarely forget how we feel about something. When emotions are added to content, recall increases. Repeat key information at intervals of every couple of hours (Do an internet search on The Forgetting Curve first described by Herman Ebbinghaus in the 1850s). Bryan, I am currently working on a conference on Memory, and your article comes very handy. I will share it with my audience! Thank you very much!